Mr. Walker has over 30 years of courtroom experience in family law and other civil litigation. While ours is a general practice firm, we handle primarily civil litigation. We litigate, that is prepare and go to trial upon, if necessary, family law cases including divorce or dissolution of marriage; custody; child support; child visitation; guardian and conservatorships; wills, trusts, probate and estates. We also litigate personal injury and commercial claims, including both bench (judge only) and jury trials. Mr. Walker, our senior attorney, began practicing law in l977. He graduated with Dean's Honors from Washburn University Law School in Topeka, Kansas. While a law student, he served on the Board of Editors of the Washburn Law Journal, and since graduation has served as an editor of state and local bar publications. He is currently a member of the Kansas Association for Justice and Kansas and Missouri Bar Associations. He has served as the president of the litigation section of the Kansas Bar Association; on the Board of Governors of the Kansas Trial Lawyers Association; and as president of the county bar association and chairman and current member of its grievance and ethics committee. He is a past president of the county bar foundation, the mission of which is charitable law-related, community-oriented causes. 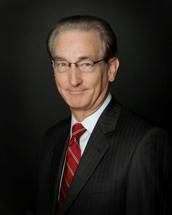 He is counsel of record in cases published by the Kansas appellate courts. Mr. Walker is licensed to practice in the state (which includes municipal, district, and circuit) and federal courts of Kansas and Missouri; the federal 8th and 10th Circuit Courts of Appeal; and the United States Supreme Court. A significant portion of his time is spent litigating cases in court. Other staff members, including paralegals and clerks (non-lawyers who are specially trained in the law and legal procedure), will talk with you, write you, answer questions, and help you understand the legal process, gather information and prepare cases for settlement or trial. In addition to successfully concluding thousands of family law cases in courts throughout the greater Kansas city area, we have collected well over one million dollars in personal injury settlements for our clients, and have written briefs for, and participated in, numerous appeals in the Kansas state and federal courts, as well as Writs of Certiorari to the United States Supreme Court. Mr. Walker has achieved Martindale-Hubbell's highest peer review rating, "AV-Preeminent," which means judges and lawyers throughout the metro area know he meets very high criteria of general ethical standards, and has the highest ratings in his legal knowledge, analytical capabilities, judgment, communication ability, and legal experience. He is also a fellow of the American Academy of Matrimonial Lawyers, the purpose of which is to encourage the study, improve the practice, elevate the standards, and advance the cause of matrimonial law. He is listed in Who's Who in American Law 2015-2016 and Who's Who in America 2015. He is among the top five per cent of lawyers in Missouri and Kansas, as rated by 2014, 2015, and 2016 Missouri and Kansas Super Lawyers, and has received the Martindale-Hubbell 2015 Client Distinction Award for quality of service, overall value, responsiveness, and communication ability. Our goal is to meet our clients' needs and exceed their expectations by being available to help them in times of crisis.